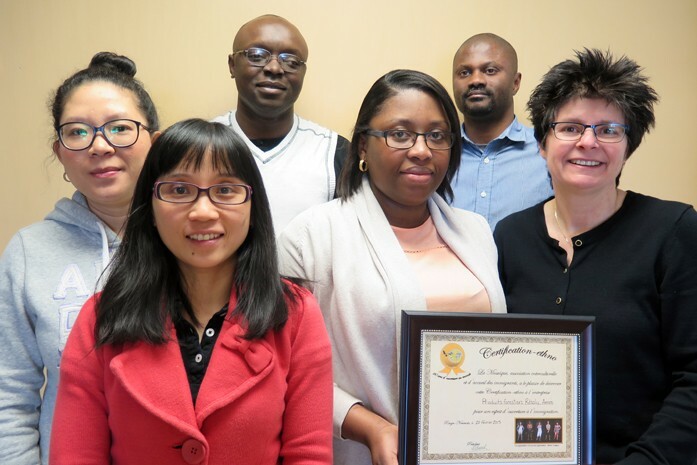 During a conference recently organized by the Mosaïque interculturelle régionale, Resolute’s Amos (Quebec) mill was awarded the Certification-Ethno for the mill’s efforts in integrating immigrant employees. This certification recognizes companies that recruit immigrant workers in Abitibi-Témiscamingue. “Attracting a diverse workforce is a priority for the Amos paper”, according to Jocelyne Cossette, Human Resources manager. The team has five new immigrants, all managers and professionals from Senegal, Cameroon, Cambodia and Thailand. In addition to providing professional training and skill development, the new employees also receive support in their personal lives, including language courses and assistance in finding a place to live. Congratulations to the Amos paper mill’s employees for their exemplary efforts!